Let’s hang out by the splash pad and eat, play, etc. (for all families with kiddos from 0-youth), Wednesday, 8/3, 4:00 PM. What to bring: Picnic with drinks for you and your family, Games you like to play both indoor and out. Blankets, towels, chairs, and any other parkish items you feel your family will need. Youth will meet at Blue Lake too. Join Dave Wilson at Martha Hartman’s home for a time in the word, Saturday, 8/6, 10:00-NOON. All Adults are welcome to attend. Chapel Families and kids at the Oregon Zoo, Saturday, 9/17. Meet up at the front gate at 10:00 am. Bring a picnic lunch or buy food there at the concession stands. This event is for families with kids of all ages! Hey guys, gather at Stompin’ Grounds in Fairview for a great time of discussion and accountability. They meet weekly, 7:00-8:00 AM. We will share a meal together on Wednesday, 7/27, 6:00-6:30 PM, when the Youth will head off to class. We will also be hosting the Daybreak Shelter Clients from Faith United Methodist Church that evening. We will BBQ burgers so bring a salad or dessert. Bring extra for our guests and hungry youths! Join us! Join Evan and Pastor Tammie on Saturday, 7/30 PM, 4:00-6:00 PM for a mandatory training/re-certifying time. Bring something to share at the potluck. Let’s hang out by the splash pad and eat, play, etc. (for all families with kiddos from 0-youth), Wednesday, 8/3, 4:00 PM. What to bring: Picnic with drinks for you and your family, Games you like to play both indoor and out. Blankets, towels, chairs, and any other parkish items you feel your family will need. Sign up to donate blood on Tuesday, 8/23, 2:00-7:00 PM here at The Chapel. Go to http://www.redcrossblood.org Troutdale Comm-The Chapel to donate. Thank you to all who donated items for resale and to all those who worked so hard to make this happen, from the organizing teams to the event workers and the clean up team! Your efforts paid off to the tune of: $2,270.38. Due to family commitments, the O’Donnell’s will not be hosting the 3rd Sunday potluck at their home this summer. 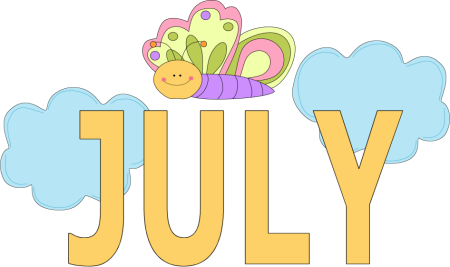 July’s meeting will be on Monday, 7/18, 6:30-8:30 PM at Lisa Cadungug’s home. Bring a snack to share, and meet at the church at 6:00 to carpool to her home. She lives at 1004 SE 28th Place Troutdale, OR 97060. The lades will be dining at Bocelli’s in downtown Gresham, Saturday, 7/23, NOON-2:00 PM. Bring a friend to this fun event. Pastor David is leading a team of Chapelites to Alaska again this year. They will be on Haida Island. They will be working at the Haida Culture Camp that runs 7/25-7/30. Please be praying for them. We look forward to hearing good reports afterwards. Join Evan and Pastor Tammie on Saturday, 7/30 PM, 4:00-6:00 PM, here at The Chapel, for a mandatory training/re-certifying time. Bring something to share at the potluck. Marissa Rice is hosting a ladies Bible Study, Wednesday, 7/13, 6:30 PM. Nursing babies are welcome to come, but there is no childcare for older children. They are studying out of a book called Awe by Paul David Tripp. Join Dave Wilson at Martha Hartman’s home, Saturday, 7/2, 10:00-NOON for a time in the word. All adults are welcome. Join Martha DeGrazia at her home, Saturday, 7/16, 10:00-NOON for a time in the word. All adults are welcome. Bring something to share at the lunch immediately following. Pastor David is leading a team of Chapelites to Alaska again this year. They will be on Haida Island. They will be working at the Haida Culture Camp that runs 7/25-7/30. Please be praying for them. We look forward to hearing good stories afterwards. Thank you to all who donated items for resale and to all those who worked so hard to make this happen, from the organizing teams to the event workers and the clean up team! Your efforts paid off to the tune of: $2,270.38. We are still awaiting a couple checks for items sold after the event. Hey guys, gather on Saturday, 7/9, 9:00-10:00 AM for a time of food, fellowship and encouragement. This is a free event, so bring a friend or two. Join Martha DeGrazia at her home, Saturday, 7/9, 10:00-NOON for a time in the word. All adults are welcome. Bring something to share at the lunch immediately following. OUT: Pray for our neighbors as we serve them today!